You’re flipping through your favorite magazine, newspaper, or just general rag that happens to be around. You’re focusing on 1-2 things per page, and if you asked most people they wouldn’t know half of what they saw while they were flipping the pages. You noticed a phone number here, a dress someone was wearing there, an interesting 100 word article that you skimmed, but nothing truly significant…and you put the mag down and (if you’re like most of us, like the majority of the people int he world) you’ll pick up another one and do something very similar. What you don’t realize is that though you thought you were just flipping, your mind has allowed you to think that through the use of many many filters. If you consciously knew everything you saw, you’d go into brain overload. SCARY PART – Your brain is imprinted with every single thing that crosses your eyes. It’s imprinted ont he main central control unit, or the CPU of your brain, the part of your brain that is in complete control of your thinking, your emotions, and how you live your life – your subconscious. So in your 10 minutes of flipping, your brain was imprinted with every picture you saw. Now, a lot of research has been done (by marketing and advertising agencies…this is no coincidence) as to what will catch your eye, what colors will entice and shock you, and what images and shapes will cause your eye to imprint onto your subconscious. The breadth of research is phenomenal…and it’s where a lot of our optical illusions come from. So everything that crosses your eyes’ path, is immediately imprinted on your main central influence section of your brain. 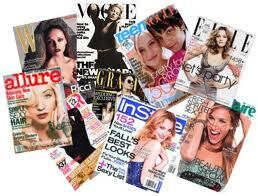 To begin this series we’ll start with Print media consumption. Can you believe these pictures? Go here for more of these kinds of ads. These are a very very very small example of ads that are seen throughout the fashion magazine, glamour magazines, and women magazine industries. Ads depicting women in brutal, abusive, object-like ways are churned out by the millions. 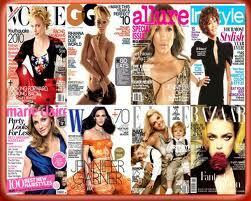 Most magazines are on average 60% advertising. Many of the fashion magazines ramp it up to 80-90% advertising if you add the captions that tell you the price and make of the things the models are wearing. So let’s quickly do the numbers and see how far-reaching these images can be – Each magazine has about 800,000 subscribers (this is a very low number). There are 7 ads in each of our hypothetical magazines (the pictures above), that means these images were imprinted on 800,000 people. in a year, these people have each been imprinted with 84 images….that means 800,000 people have been accustomed and trained that images of violence against women are merely advertising and entertainment. Now add this 800,000 to 10 different magazines for a total of 8,000,000 people! That is a country. That is a large cross-section of our Untied States. The sad part is that this is a low number. With what we know of brain imprinting we know that these images were imprinted on the subconscious and then created into a thought and opinion. A woman will see this as a representative of herself and her self-worth. A man will see this as a Representative of women in general and is actively learning how to treat “her” through these images. When we see 1 million images a day and 1/2 of them depict violence against women and gender inequality – we have a very heavy imprinting on our brain to think 1 view and idea of women. Woman are to be treated in violent ways. Women are happy to be treated in violent ways….creating the idea of accepted sexual assault. This website explains this idea wonderfully. When 1 gender is seen to be superior to another gender, the superior gender will react in violence towards that lesser gender. This has been seen in racism, ageism, and sexism! Add another aspect to this: Remember what I said above: “A woman will see this as a representative of herself and her self-worth.” Not only are men seeing that women should be treated with violence and that they as men are superior, but women are being taught they deserve this violence and they are less than a man. When a group of people are taught to see themselves as less than another group – the downtrodden group accepts the violence that is put on them as deserved and “normal”. By allowing our brains to consume these images and by allowing these images to exist, we are promoting and imprinting on our brains – inequality towards women and violence towards women. opt 4 writing letters to every advertising agency and magazine to end this violent campaign against women. Opt 4 eliminating this kind of consumption from our society. 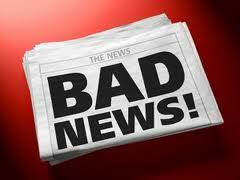 Opt 4 ending the consumption of disrespectful print media. So many important points you bring out here that are vital for us to meditate on and understand. Granted, I did have to scroll past some of the images you included on this, being a man and wanting to guard my own eyes. I got the point by glance. If you wanted, you could black out or blur certain portions of some of the pictures, just to make it a little less revealing, while maintaining the point of what you’re saying with them. Thank you for sharing such key points. Interesting! Where did you find that info? If you can tell me the exact information you’re referencing, I’d be happy to give you the sources. Truly interesting…I agree. I hope you are able to read the rest of the series. sharing again on facebook and will share all three on twitter @pornfreeculture, love Opt 4, thank you! I am writing to request permission to reprint this article in full on my blog http://www.melindatankardreist.com with full acknowledgement and credits. I am a writer, speaker, media commentator and author/editor of four books, the last two concerned with objectiication and sexualisation and the pornographic representation of women. I look forward to hearing from you. Thank you. Good Morning. You are more than welcome to completely reprint this and all of the segments of the series. The goal of this blog is to get this information out to as many people as we can. The more people that are exposed to it and see it, the closer we are to a completely changed world. The more we can change this world and prevent this horrible violence, the closer we can get to a world of understanding and nonviolence.